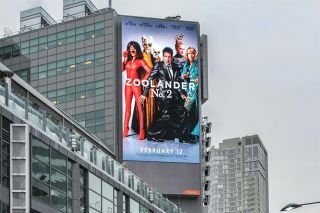 Dot2Dot Communications, the Canadian Master Distributor of Scala, has announced that Out-of-home (OOH) advertising firm Cieslok Media has switched to Scala to manage its growing number of large-format digital billboards across Canada. Cieslok Media is a leading provider of premium large-format OOH in Canada. Cieslok was looking for a stable platform to handle full-motion high definition (HD) videos and scripts that will allow for two-way interaction with their LED billboards found in the countries most sought- after media locations. Scala Enterprise Content Manager together with Scala Designer has answered that need. The technology is known for its ease-of-use and functionality to turn digital screens into a dynamic communications platform. In recent months Cieslok has upgraded two existing digital displays with new high contrast, rich color digital screens, and converted a static backlit sign to reportedly the largest vertical full-motion digital billboard in Canada. Cieslok commands the attention of daily commuters for big brands to launch campaigns.